What are your fall delights? I’ll leave afternoon delights alone, LOL. 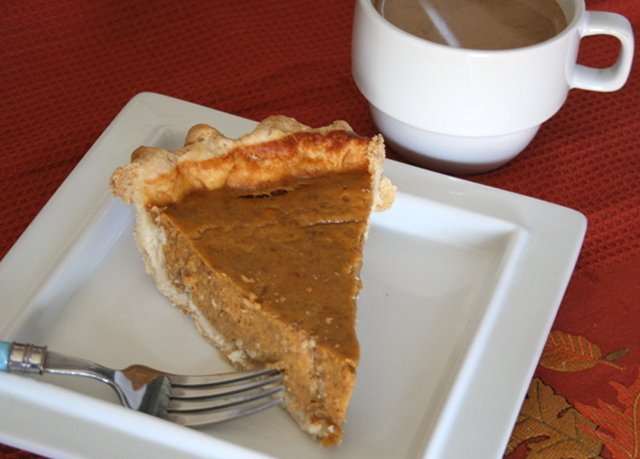 For me, one fall delight is pie and a cup of coffee for breakfast on the day after Thanksgiving. Instead of Black Friday shopping, I’d rather eat naughty ;). I had no shame in it, especially after an hour long walk with the dogs 🙂 Thanksgiving, as always, was a splendid time spent with family, reflecting on things and being full of thanks. The holiday has come and gone, but it still lingers in my mind (+ we’ve been savoring the leftovers). How was your Thanksgiving? 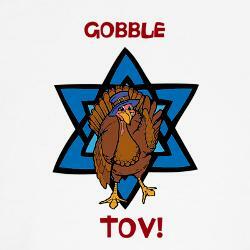 And we can’t forget about Thanksgivukkah/Thanukkah as well! 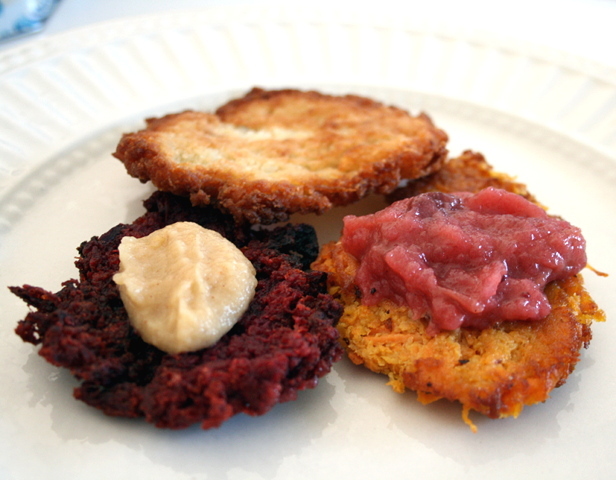 Especially for my husband, I made some Thanksgivukkah latkes (his grandma’s latkes are always the best though). Fall-colored ones to match the holiday. Red beet, orange-y colored sweet potato, and the classic potato variety. 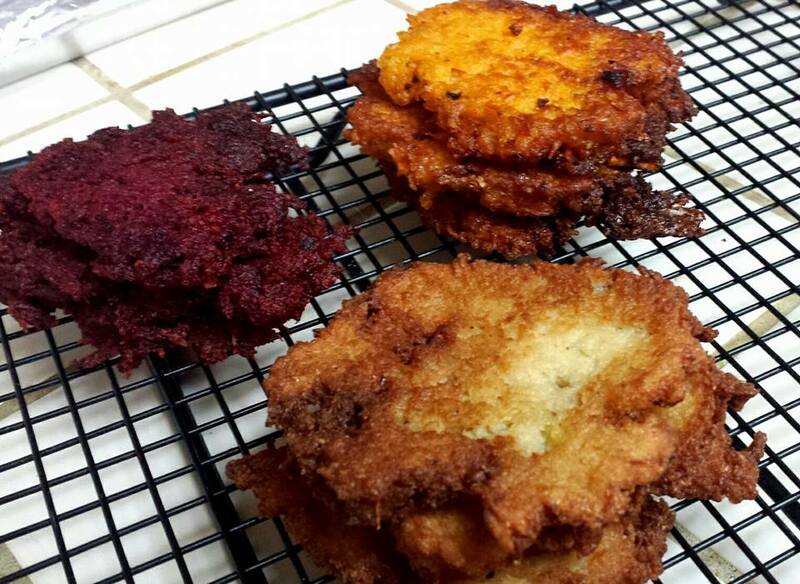 I used the “Latkes for dummies” recipe that I posted earlier. For the experimental ones, I used equal amounts of sweet potato to potato or beet to potato. They were served with sour cream (not pictured), homemade applesauce, and this cranberry-applesauce recipe from BuzzFeed.com. This year, we celebrated at my parent’s house. More fall delights on a plate. Before this, we gobbled on appetizers and salad. Even though turkey is the star on the plate, my dad always makes roast beef, his specialty, on this holiday. 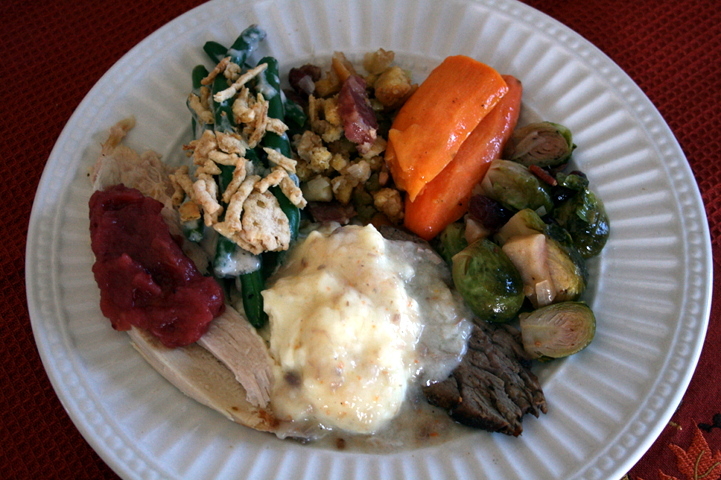 I liked the spread this year–not too much sides, yet not too little. Just the right amount. However, I always look forward to the pies. My sister’s soon-to-be mother-in-law makes the best pies! I said that her’s is the best apple pie I ever had, and I wasn’t lying. In addition to pumpkin which is in the top most photo (also best pumpkin pie according to my family), she made a custard pie, which is my sister’s favorite. 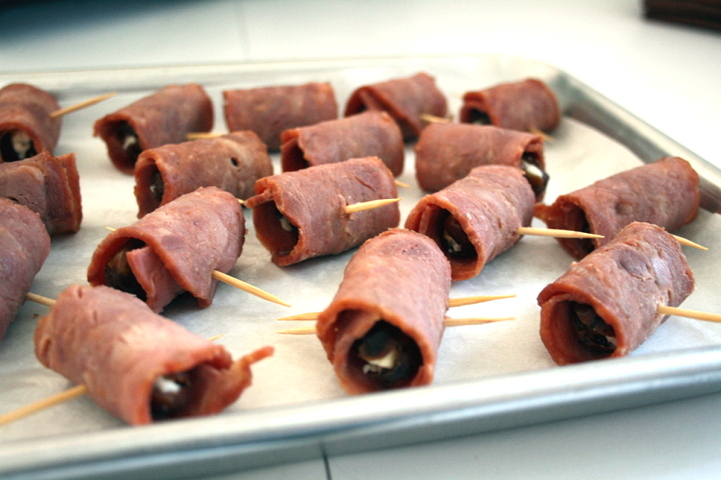 The latkes and these bleu cheese stuffed dates wrapped in turkey bacon were my contribution to the fall feast. 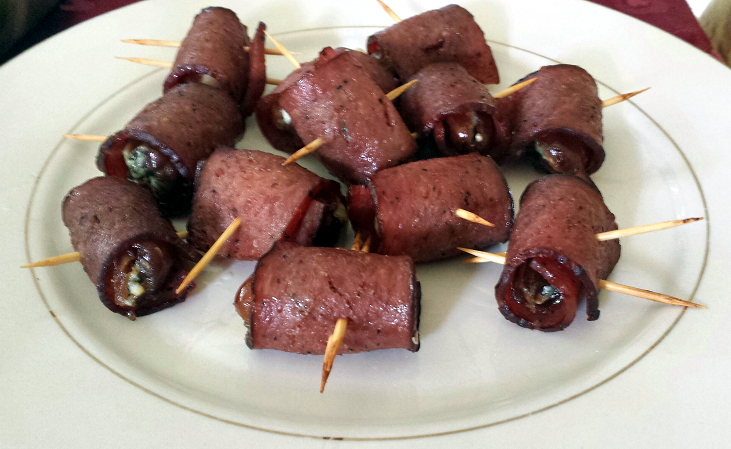 These bad boys are a simple, no fuss appetizer that packs a flavor punch. 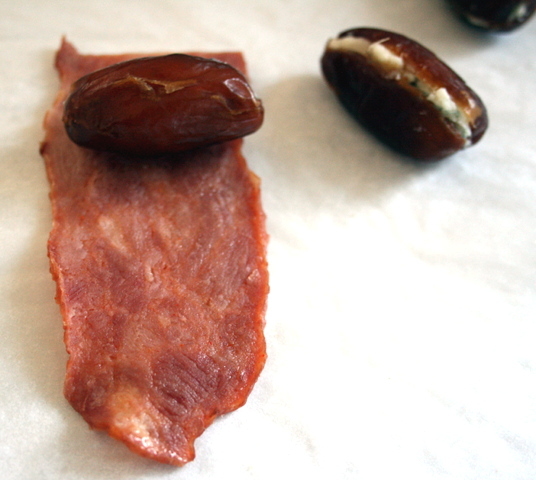 I chose turkey bacon to fit the turkey day theme. Sub your favorite bacon if you like. 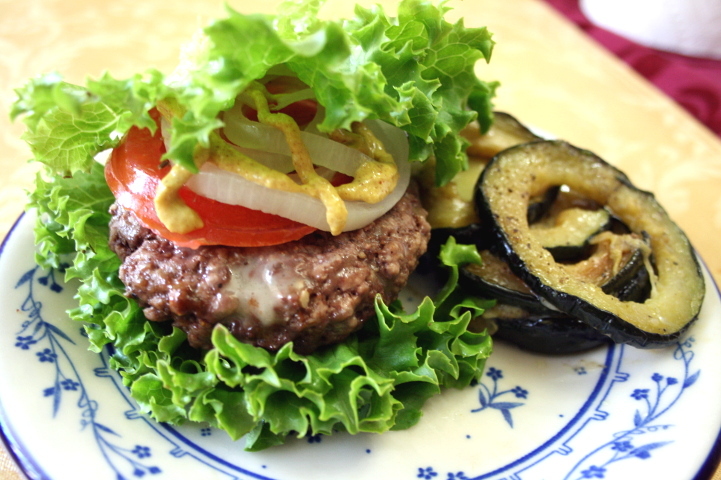 You can also serve them atop a green salad, which I love as a light meal (even breakfast!) As you know, I have no qualms about eating bacon once in a while, given it’s of good quality. If you are interested, here’s an article about bacon and health. Biochemically, bacon fat is pretty good, in moderate proportions, as is the case with most things. 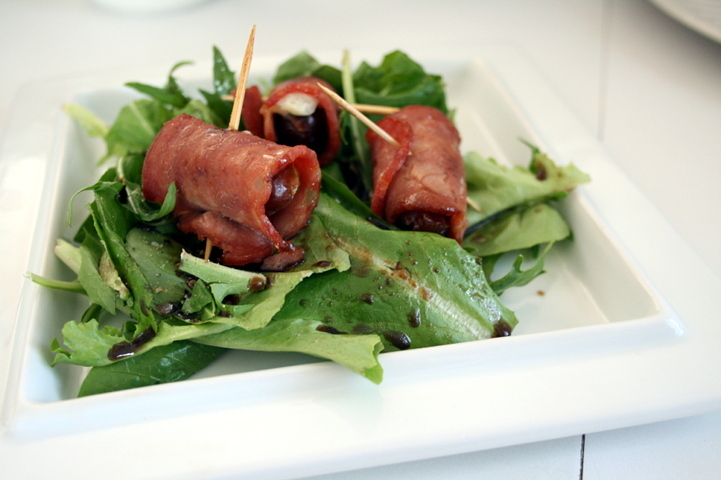 Basically, you only need 3 ingredients: turkey bacon (cut in half), bleu cheese, and pitted dates! My husband helped me out a lot with this dish and it was fun. Go get your family involved and make this! I put the bacon on a sheet pan and cooked them for about 15 minutes at 400F before assembling. That way they render a bit and it browns better later. 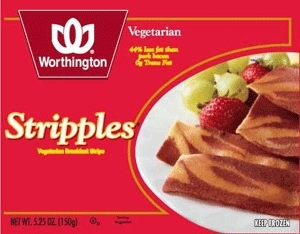 Use hog bacon or even stripples, if that’s your thing! Growing up, I enjoyed these things with my Loma Linda friends. Stuff the dates with the bleu cheese (or any type of cheese! ), about 1 tsp per date. Then roll it up. Secure with toothpick. 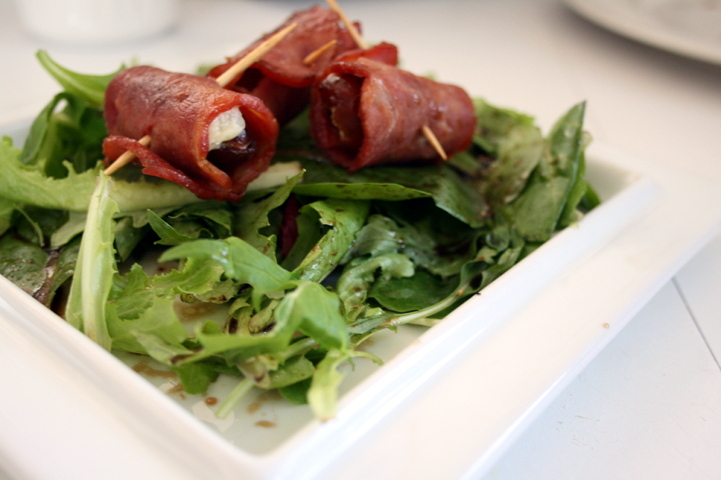 Use a full piece of bacon if you want a heartier appetizer. Sometimes I used two toothpicks, especially for the bigger ones. Place on a sheet pan and bake at 375F until browned, about 5-6 minutes per side. Blot out any extra grease with a paper towel. You could also assemble these ahead of time, store in the fridge or freezer (wrapped tightly), then pop them in the oven when you have company. If you froze them, thaw them before baking. Ready to be eaten, or dressed up. To dress them up and eat with salad greens, I like to make a simple vinaigrette. Just salt, pepper, balsamic vinegar, and extra-virgin olive oil. 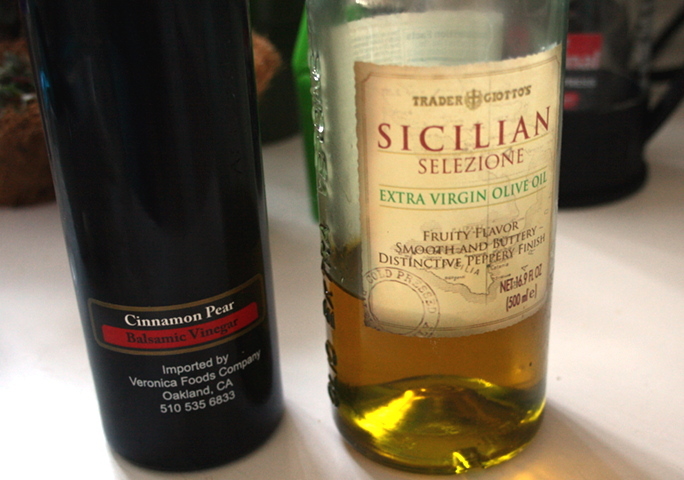 Here, I used cinnamon pear balsamic from Coronado Taste of Oils. Had fun indulging and gobbling it up this holiday. Now gotta get ready to go back to the grind and also do some exercising! This entry was posted in appetizers, Cooking, Food, Holidays, Recipes, Snacks and tagged appetizers, Apple sauce, bacon, bacon wrapped, gobble tov, Hanukkah, Holiday, latkes, stuffed dates, thanksgiving, Thanksgivukkah. Bookmark the permalink. Quite the feast there Samantha! Hope you had a great holiday! Thanks! Thinking about what to make for Christmas now! 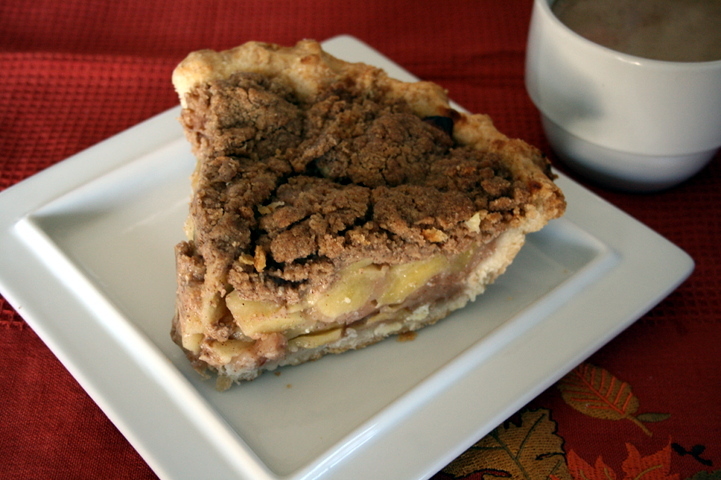 Yes, I love the pies and I just had the last slice yesterday morning. 🙂 the appetizers look simple and delicious. Thank you 🙂 I wish I could eat pie everyday without affecting my waistline! 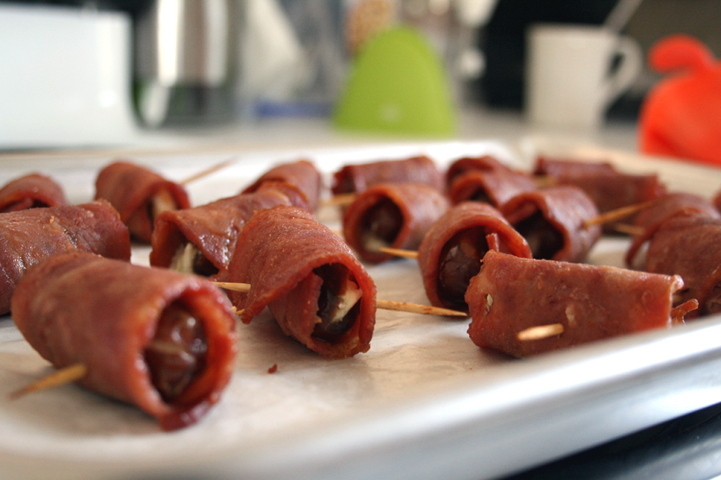 oh man, bacon wrapped dates are the bestest! 🙂 Thanks! Had some again today, LOL. Love that you had multiple pies. Nom! Thanks! I was trying to remember what they are called! Funny name! 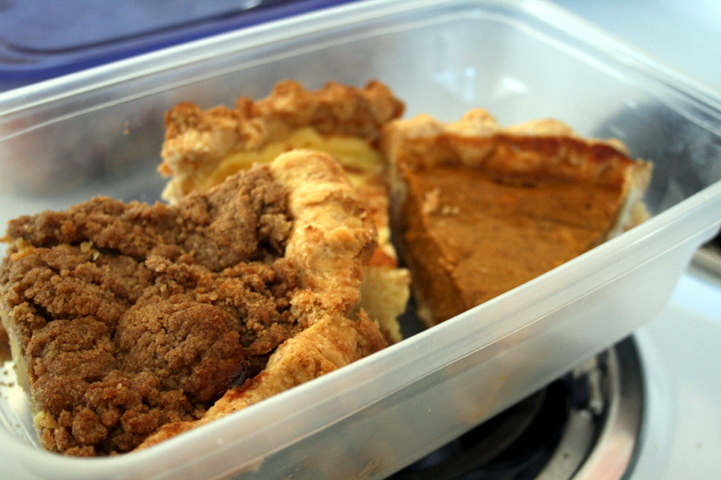 I always look forward to the pies more than any other food on Thanksgiving, even over turkey! 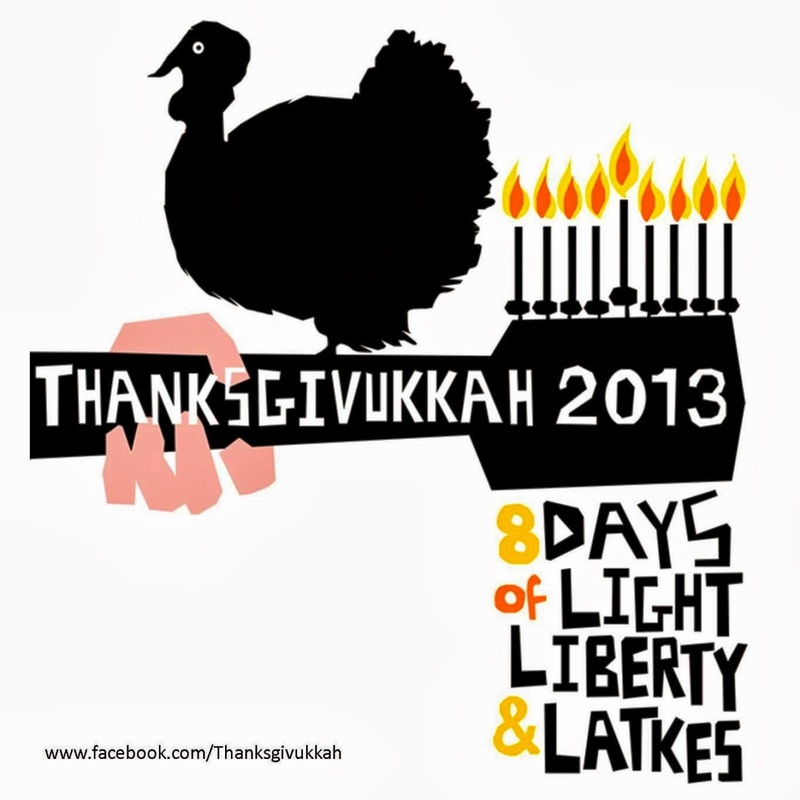 Your latkes look amazing! 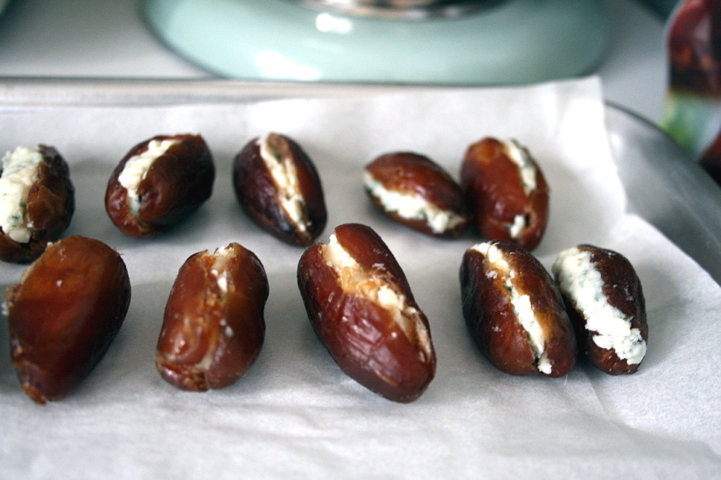 I’ve never had blue cheese stuffed dates. Gonna have to try those!